Dreamcast wrote: Looks very nice indeed! do you run the light with or without the fan cover? from my experience the light stays a lot cooler without the cover. I'm just running it as is. I really can't take the "fan cover" off. I will, however, be selling the tent, as since it's so small I can only fit one tree in it, which doesn't really work too well. I'll be building a PVC frame tomorrow. PVC is great because it's light and doesn't need screwing and all that work that wood requires. 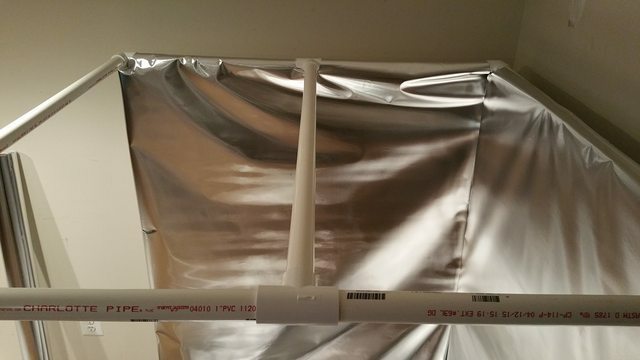 I'll be able to hang the light from the frame and attach mylar as well. Stay tuned. Staying tuned! I assume you will have a open roof design then so you will not be needing any exhaust fans? Then again, I'm still undecided about the tent. I have it so I might as well use it. 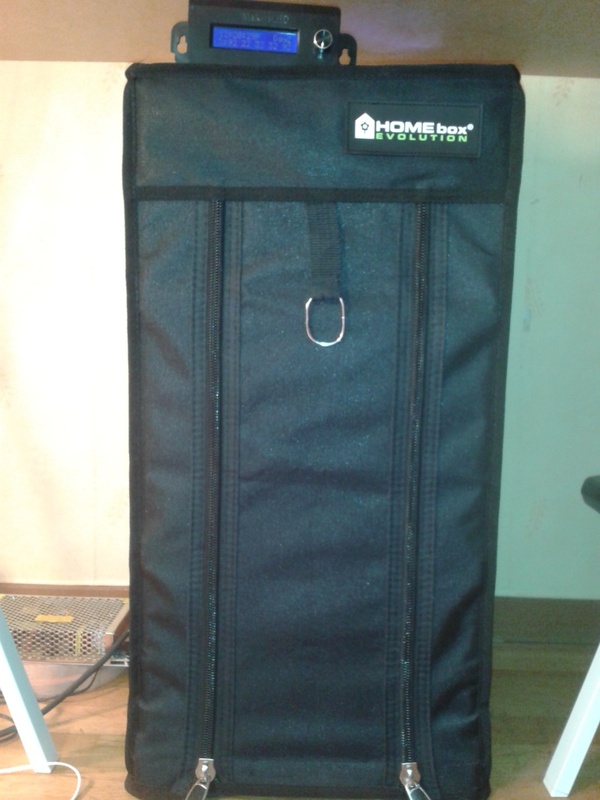 Maybe this Modular tent thing from HOMEbox could be something for you since you have a rather "hard" time finding something that really fit your needs. Then you can build whatever size tent area you desire, and you can also increase or decrees the size anytime depending on your needs, a very clever design i think. Kimo, its not tents you use while camping and such, its a special horticultural product. 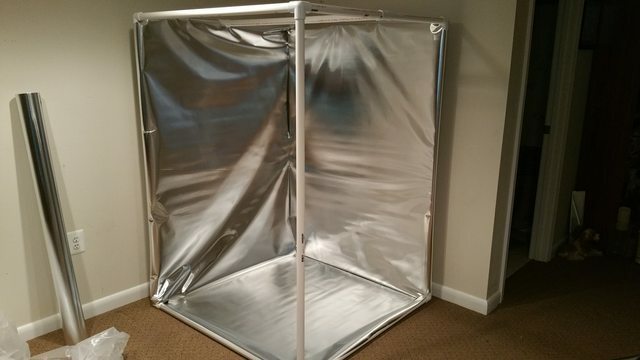 Its the kind of "tent" i was using before this new setup. I've started moving them indoors, do we'll see what happens. So, that's a ficus grown in subtropical China and imported to your country that you're keeping in a plastic cage. Good. Looks nice. Very "naturalistic". I had a friend who used to grow plants in such an environment, but not Ficus (he's now found plants that can mature in 3-month's time, outside). I even read (on this forum ?) 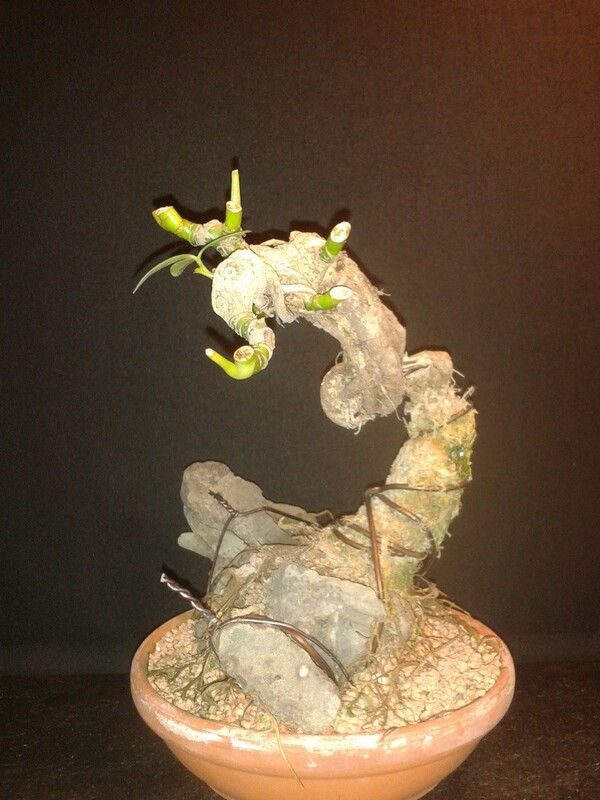 about people attempting to grow green pepper bonsai in Finland - or was it Iceland ? - using such devices. Wonder what's become of them. AlainK wrote: So, that's a ficus grown in subtropical China and imported to your country that you're keeping in a plastic cage. This isn't in a "cage". It's just under a frame so that the light can support it. This isn't grown this way year round, it goes outdoors in the summer where it looks more "naturalistic". This is strictly for the cold months. Alain K, why are you trying to make us indoor grower seam like "idiots"? Do you mean this guy in Finland who grow Chili Bonsai? 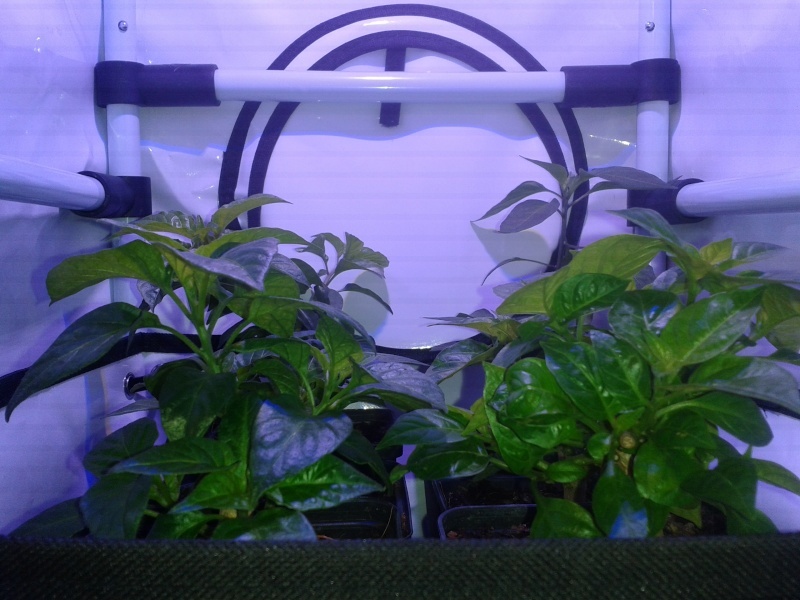 Don't know exactly what setup he uses except his greenhouse, but i think his results are quite good not only with "Bonchis" but with growing Chilis in the cold north overall, or are they also "pale" results? Let everyone do there own thing, don't have anything nice, non sarcastic or constructive to say? then please say nothing at all. The new setup is working great! 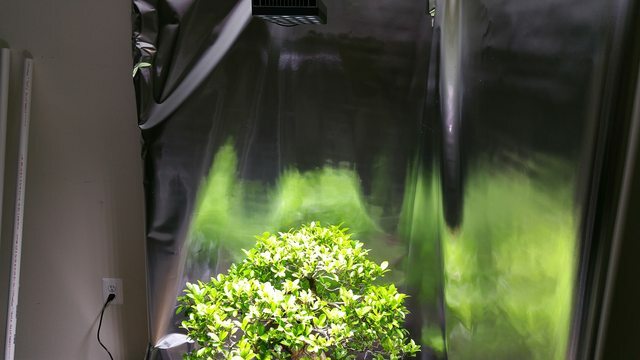 But the plastic greenhouses are not keeping up, plastic tears very easily and zipper start jamming already after just a couple of months, i will have to come up with something better and soon, thinking of quality Terrariums. 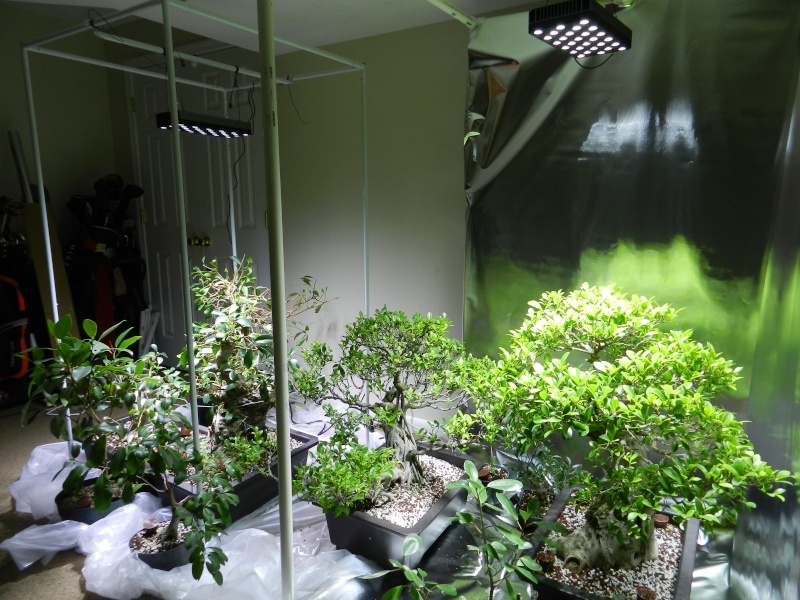 Well, even if the setup is partly falling apart.. trees are growing very well and development is steady moving forward! They respond very well to ex. 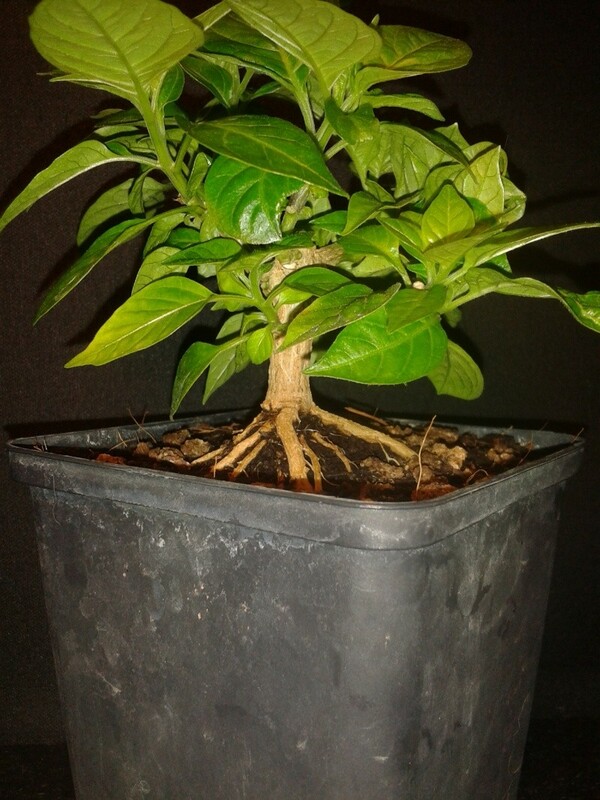 defoliation and hard cutbacks and rapidly show new and strong growth, and aerial roots are not a problem any more. all this is clearly due to the much more favorable tropic like conditions in the new setup. Some algae forms on the water in the bottom tray after around 3-4 weeks, so i now clean and refill the trays every 2 weeks, problem solved. Except for that i see no pest, mold or fungus problems, so far so good. Here are some photos, i am trying my best to get better at photographing my trees, will invest in a new camera and some more gear soon. 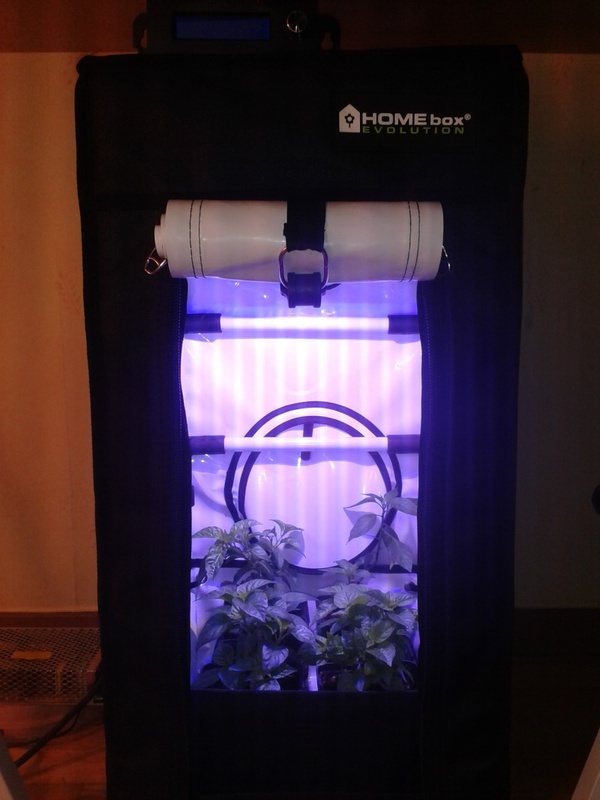 Have some future Bonchi material growing in one of the small Homebox tents under the DIY LED from LEDgroupbuy, its a very fun little project, looking good so far. Both lights are hung and things look great! Ryan, indeed that setup looks great! so dose your trees, all green and lush. Is the plan to use one additional light in between the two frames or is the crossing light enough for that middle tree? If you don't have one yet, i can really recommend getting a simple cheap LUX meter, its a great tool to see where there are light hotspots and where light is lacking. Interesting to see your nice set-ups. The results look promissing. 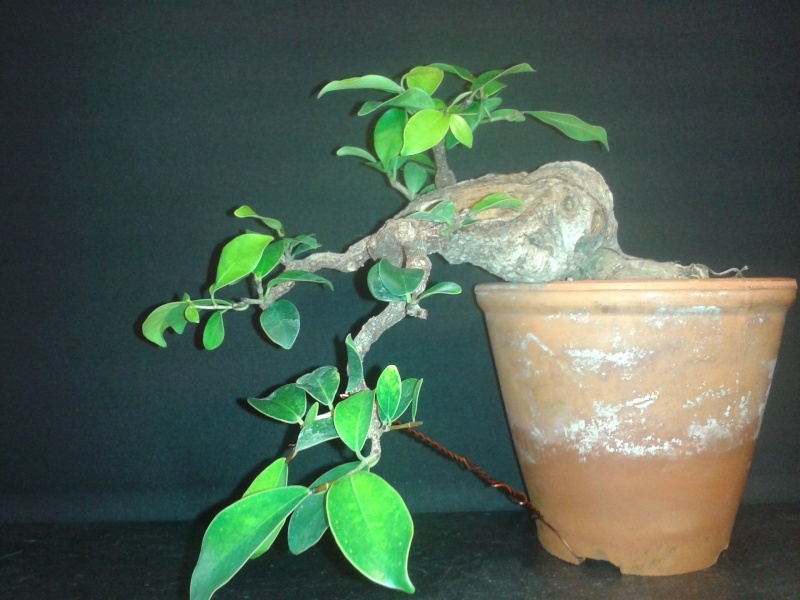 I'm starting to experiment myself on artificial lights on ficus and carmona trees. 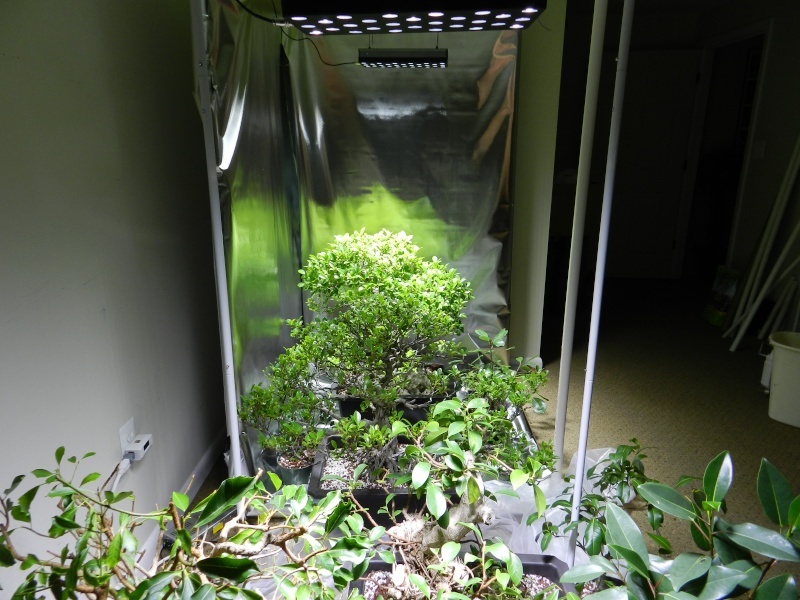 For this I was wondering if you're mimicking seasons and provide a resting period with reduced lighting (and fertilisation and watering) for your indoor trees. 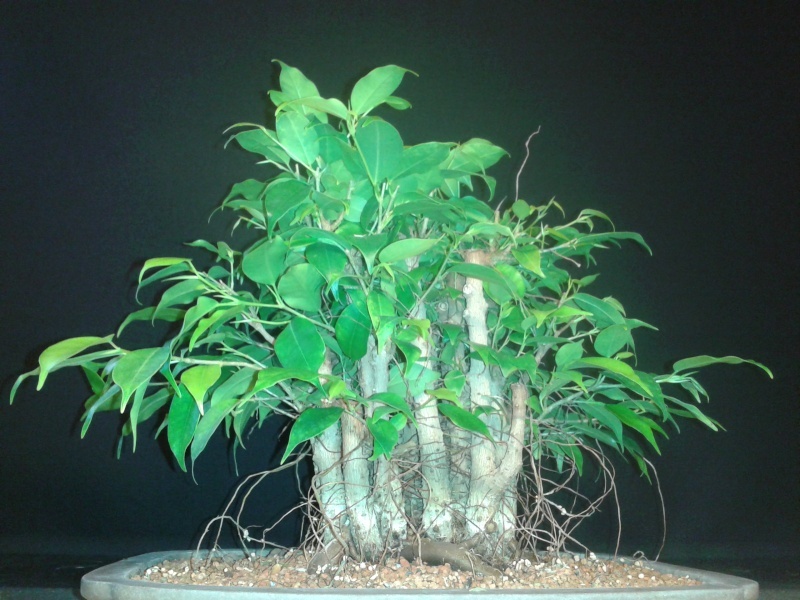 If I recall correctly, Jerry Meislik writes in his Book "Ficus, The Exotic Bonsai" that a resting period for ficus is not necessary but also the need for a resting period is species dependent and might require some experimentation. What is your approach to this? JeroenK wrote: Interesting to see your nice set-ups. The results look promissing. 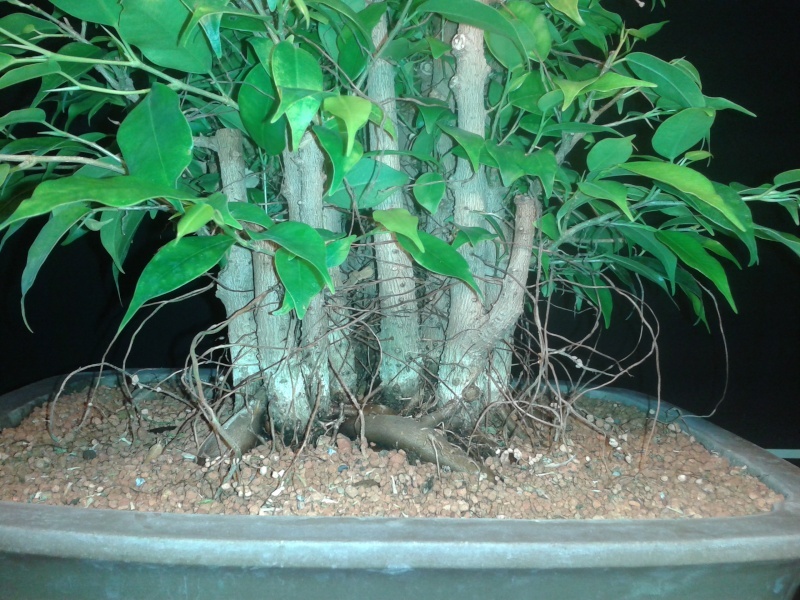 If you grow your ficus trees under the same amount of artificial light for around 16 hours a day all year round, then there is no need for a resting period nor change in fertilization or water routines. 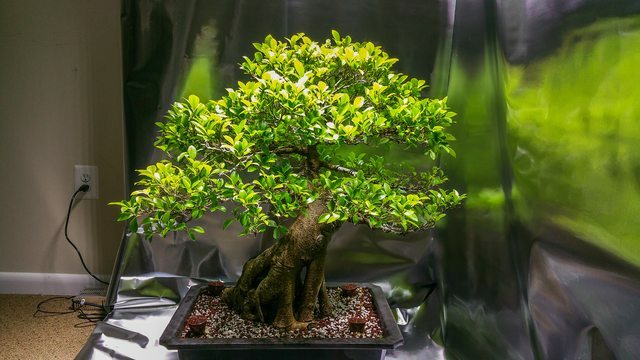 At least this how i do it, easy, simple and very very rewarding, especially in the darkness of winter when i can work on my ficus trees. Think what Jerry may be referring to are the non tropical species of ficus. 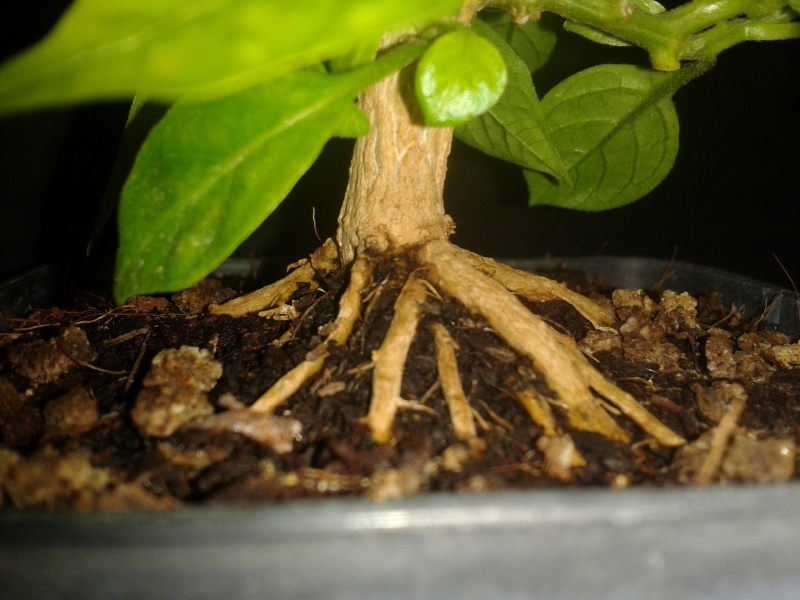 Have very little experience with Carmona, had one malsai many years ago when i started out in Bonsai, it died offcourse but if its a tropical tree then there should be no difference then growing ficus under artificial lights, but if its a sub-tropical tree then it may want a colder spot to rest in under winter. Hope this helps, and please do share some info on your setup and trees, maybe some photos? Thank your for your reply. For now my setup is not worth showing, as it consists merely of a 10w LED light as an addition to natural light. Though I'm studying this thread as inspiration for my setup improvements. For my information, do you use additional heating to assure sufficient temperature? I believe Yvonne advised 30 deg Celcius as a general air temperature, which I doubt I can reach with only the waste heat of the single led light. It's a 10 watt 70 Lumen/watt light. 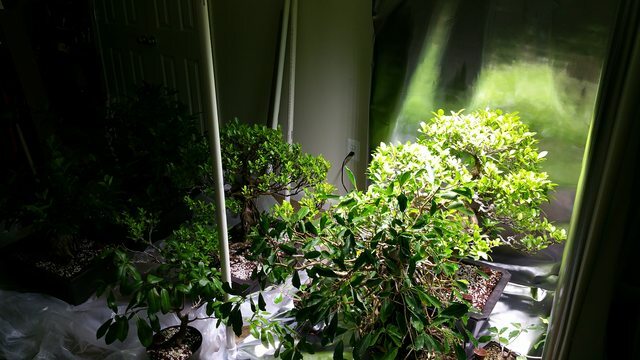 JeroenK, all indoor Bonsai setups are worth showing in this thread no matter how small, and its also easier to discuss once setups, give advice and so forth when having a visual. 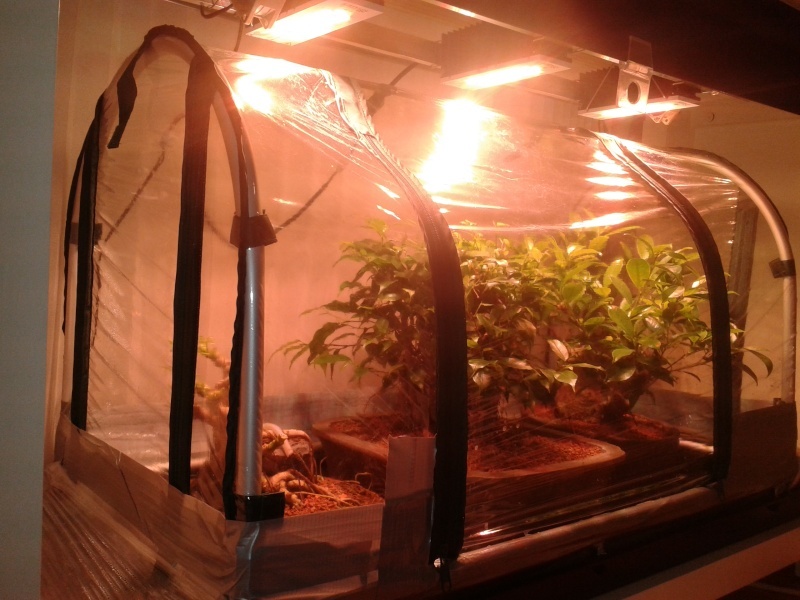 Nope no extra heating needed so far, it has been steady 27-30 C in both propagators with only the radiating heat from the lights, but colder times are coming... think i will just ad some small Osram LED spots if i have to keep heat up. Dreamcast wrote: Ryan, indeed that setup looks great! so dose your trees, all green and lush. I don't plan on adding more lighting. That tree in the middle should be okay, it's getting enough from the two I believe. Which type of Onyx have you used: the veg (cool white) one or the other? I have noticed that Onyx uses only white LEDs, do you think it could be any advantage to Sanlight M30 approach (which uses mix of colors, I guess)?